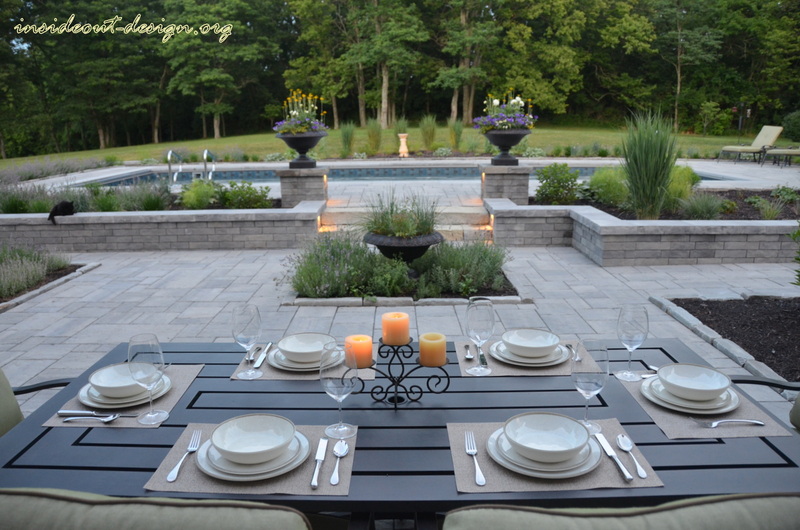 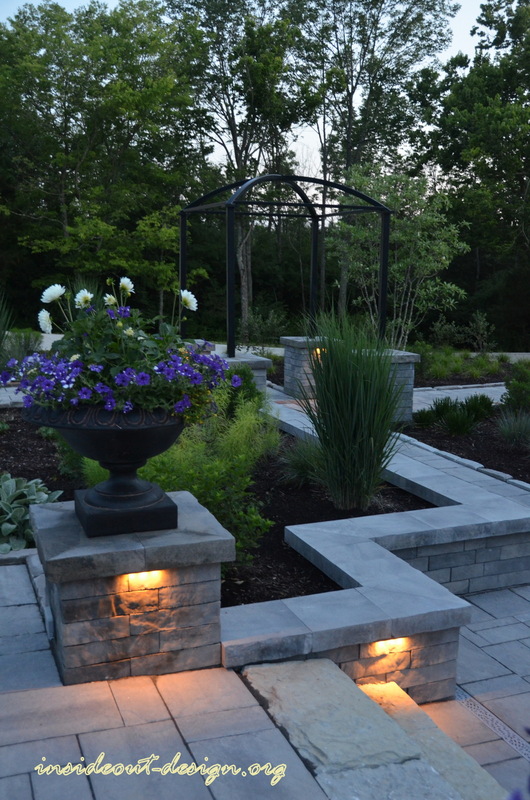 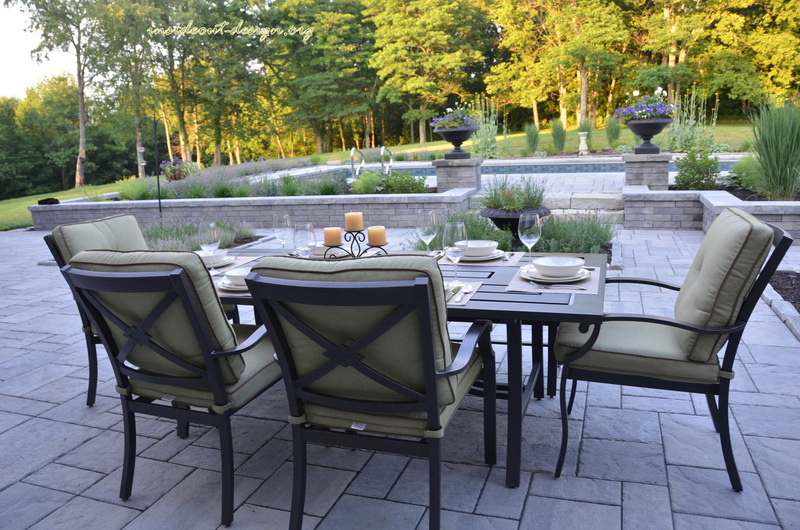 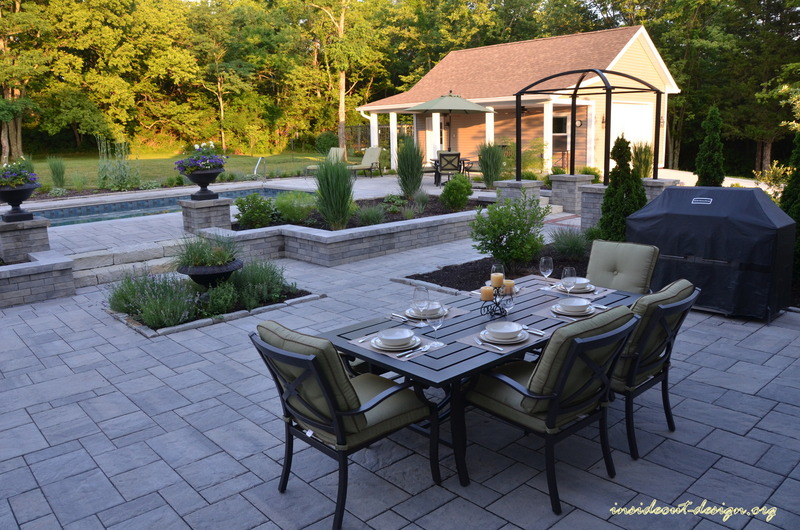 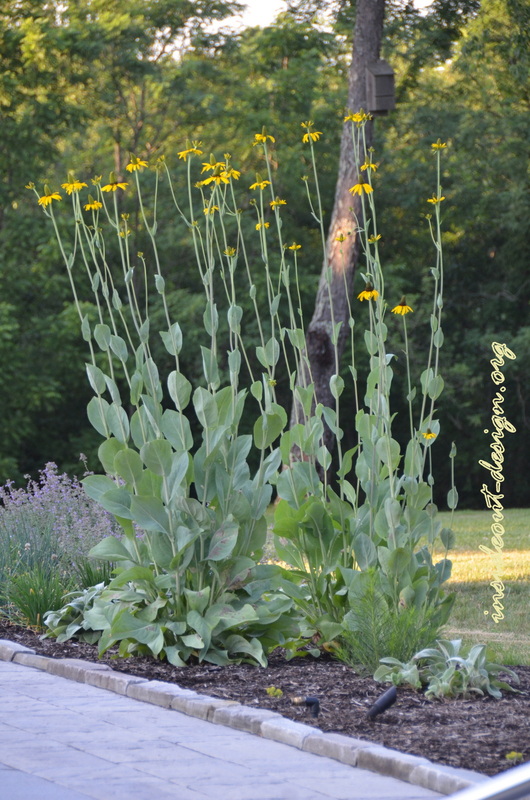 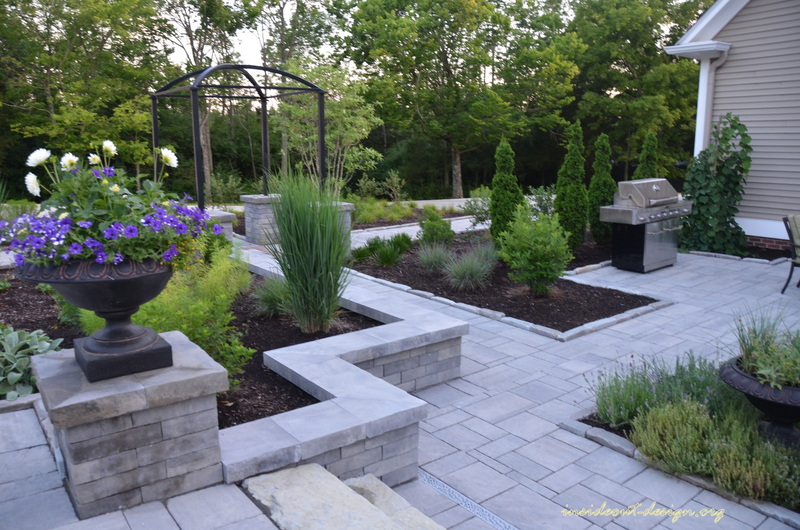 As always, our clients have wonderful ideas and inspiration – this time from the gardens of France, which inspired the garden cut outs on the paver patio. 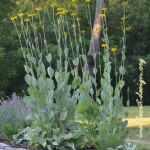 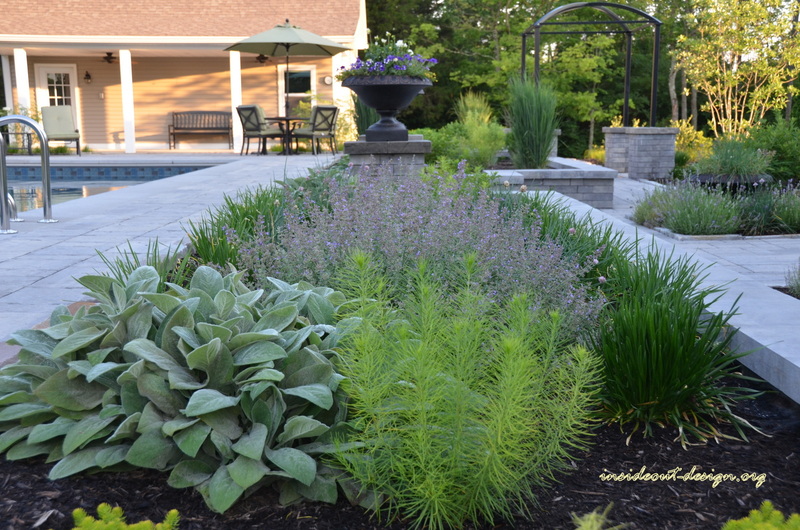 Of course no French garden is complete without at least a little bit of lavender which occupies the cutouts with other herbs. 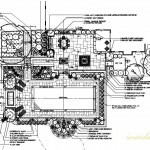 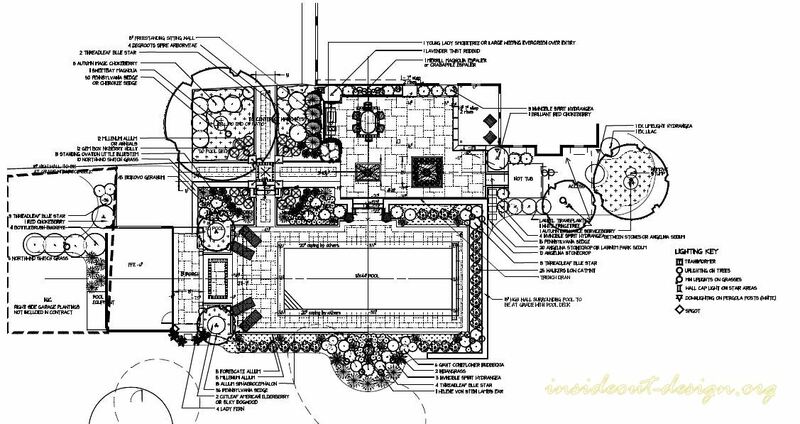 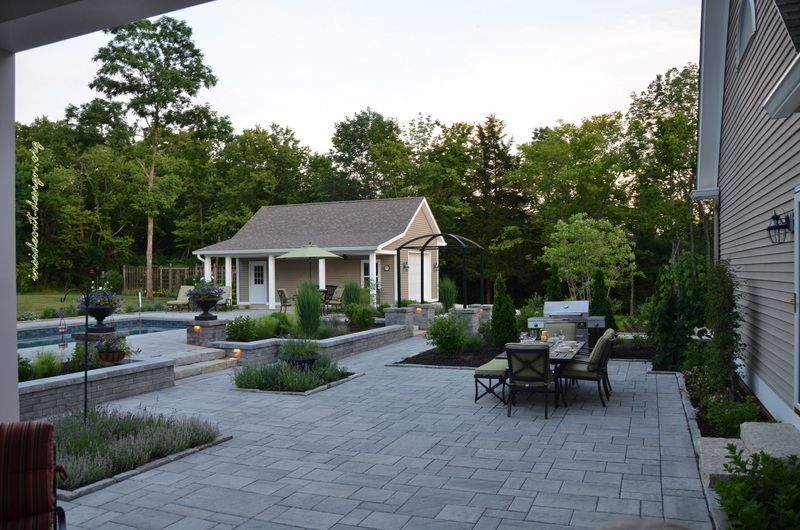 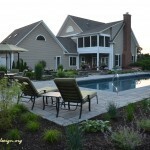 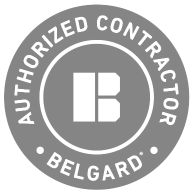 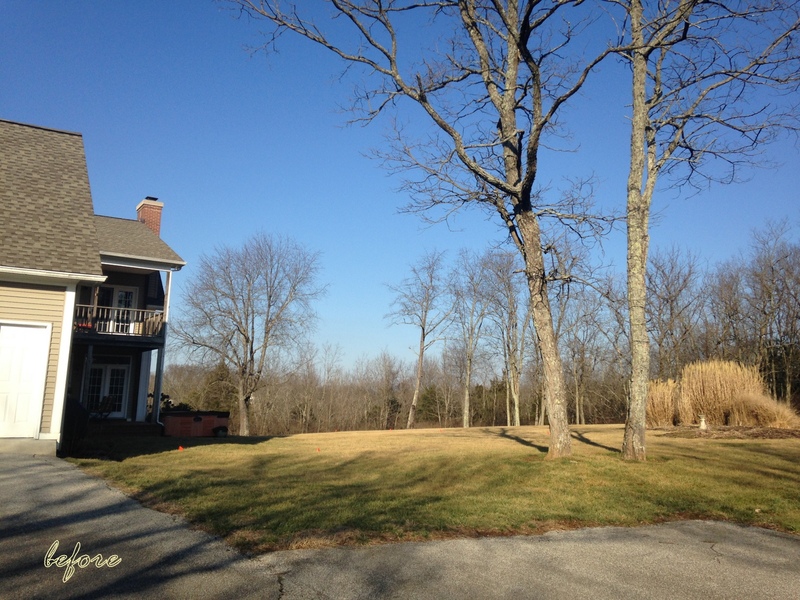 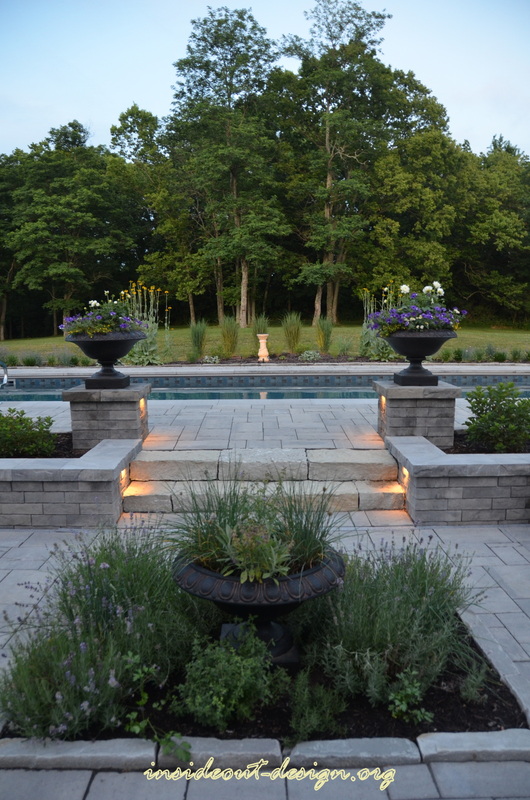 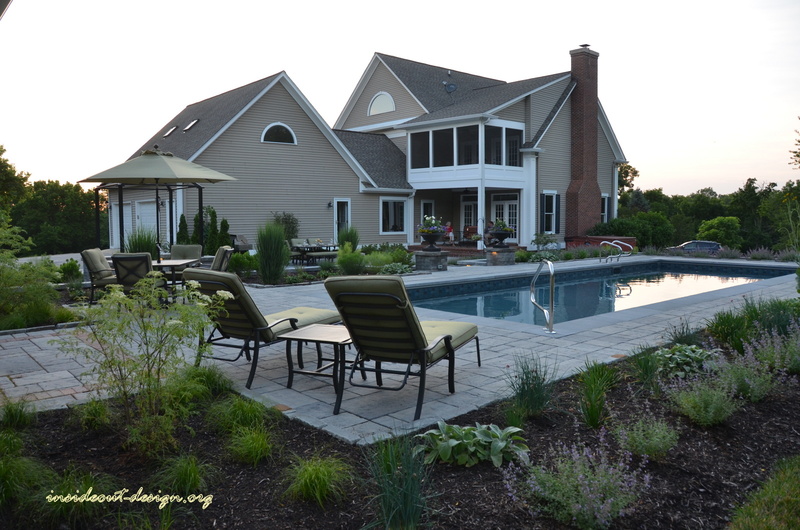 The pool, extra garage/shed, patio, steps, lighting and plantings were designed and executed – topography was of utmost importance on this project (and any project – hint hint let us place the pool and everything around it)! 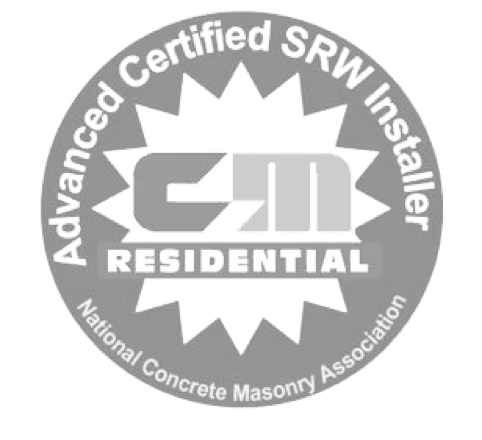 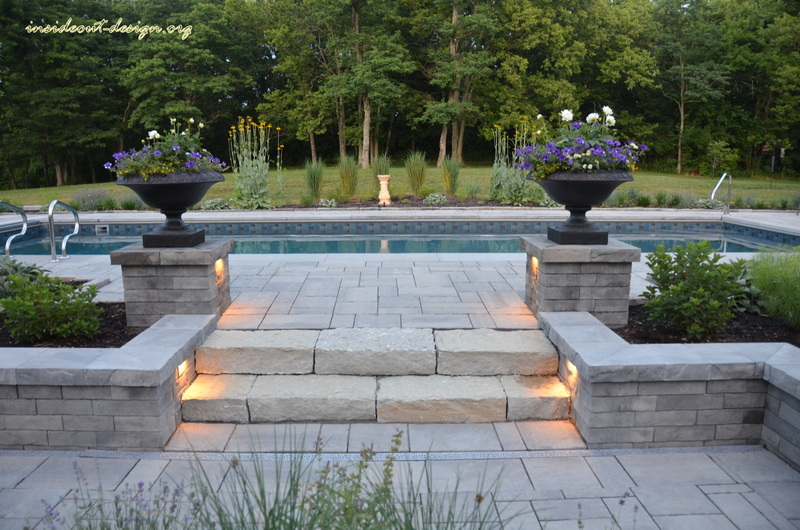 A pool was conceptualized with a sitting wall to give this area some lift, which helps define the patio and pool as two separate but integrated spaces as well as works with the existing grades. 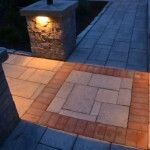 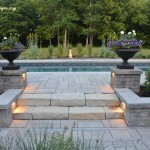 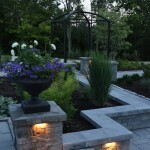 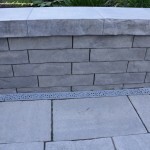 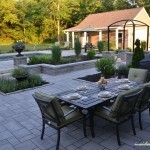 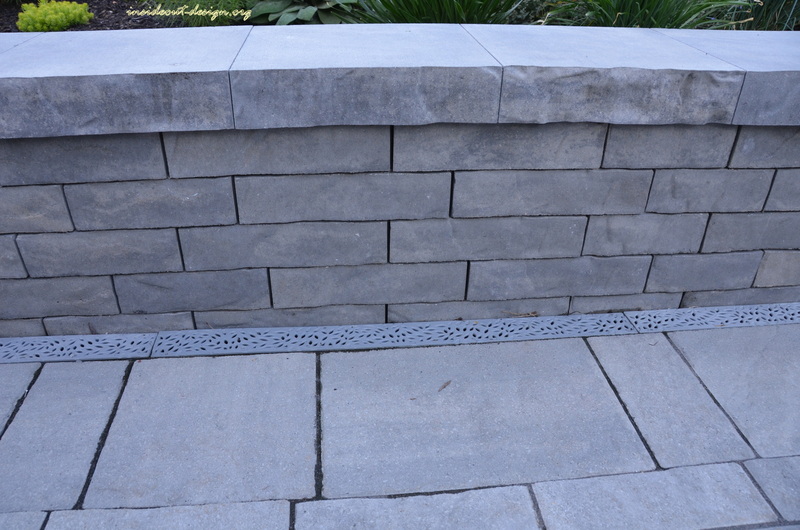 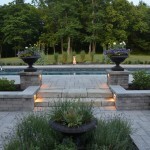 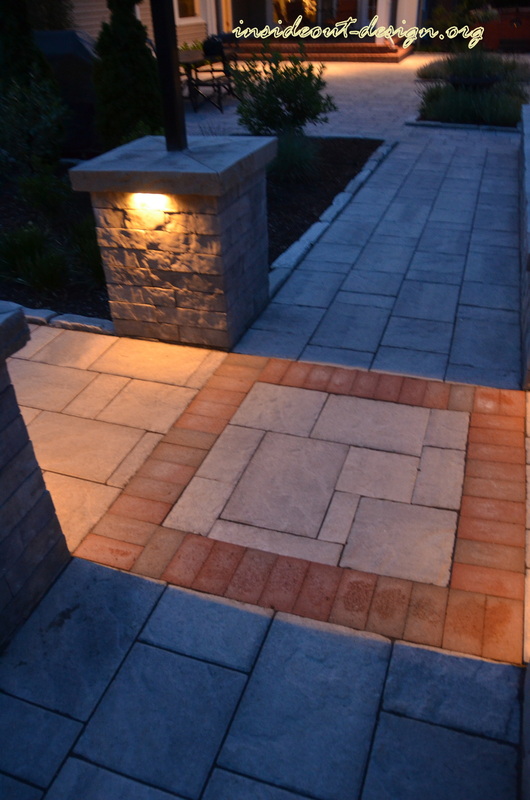 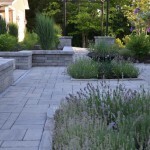 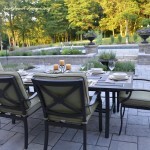 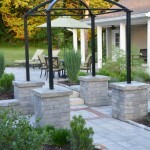 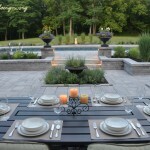 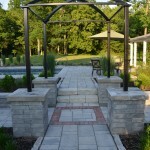 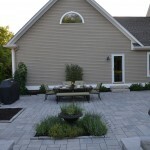 Natural stone curbing highlights the edges of the patio while natural stepping stones add nice texture. 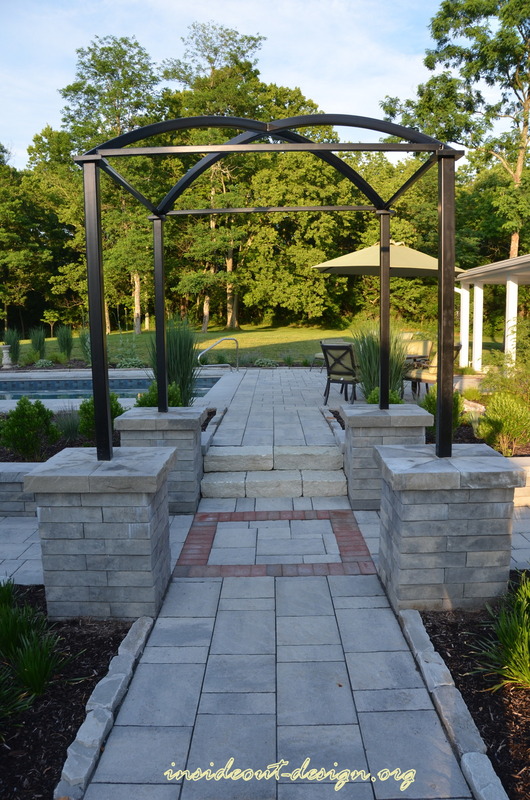 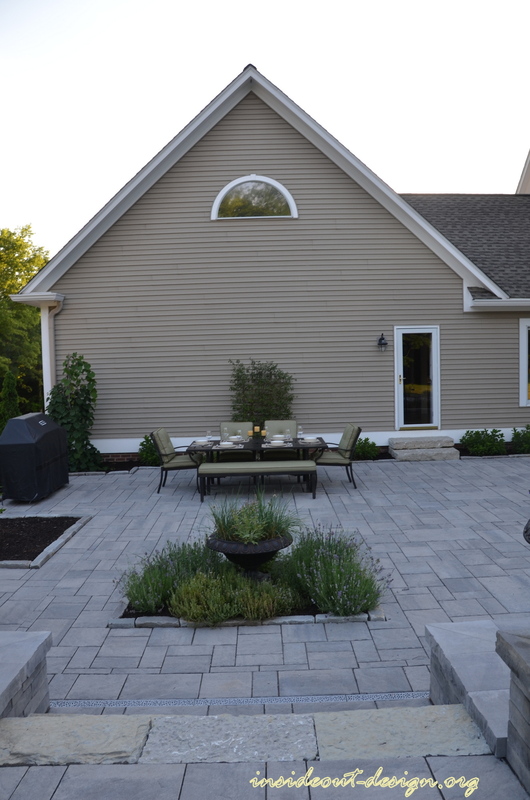 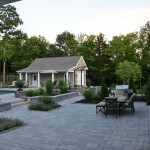 The Techo-Bloc walls, columns and caps also add stone texture, while the pavers contain brick accents to match the existing brick on the porch. 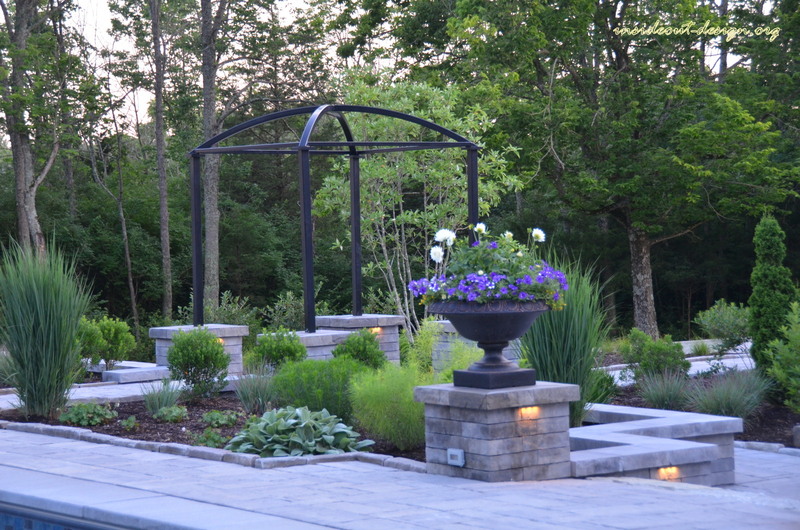 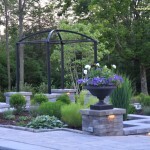 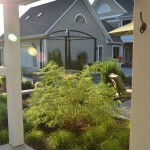 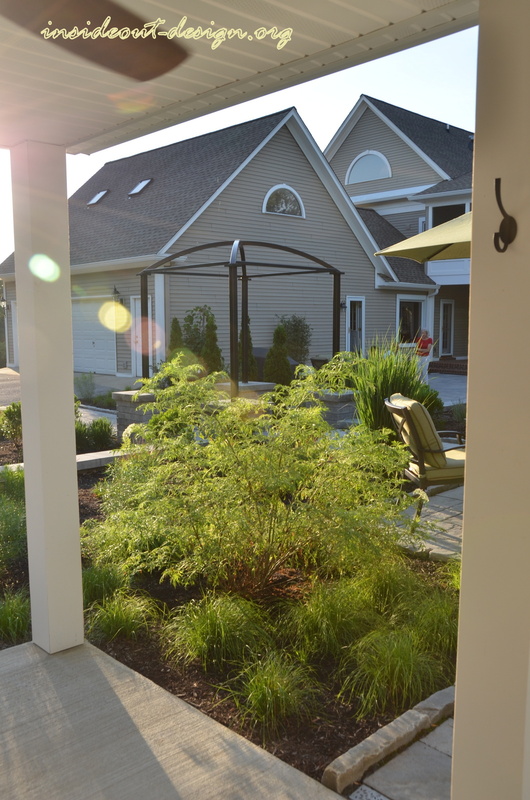 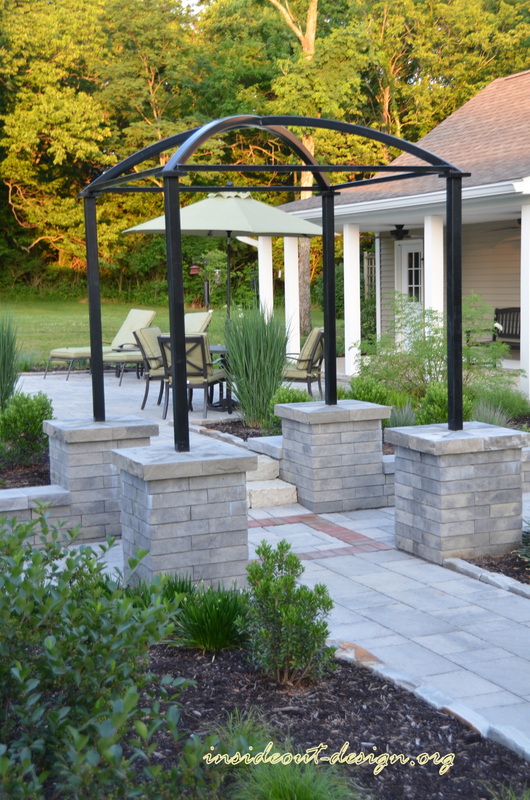 The entrance includes four columns with a custom designed arbor with a curved top, while other columns are flanked with containers to add seasonal color to the area. 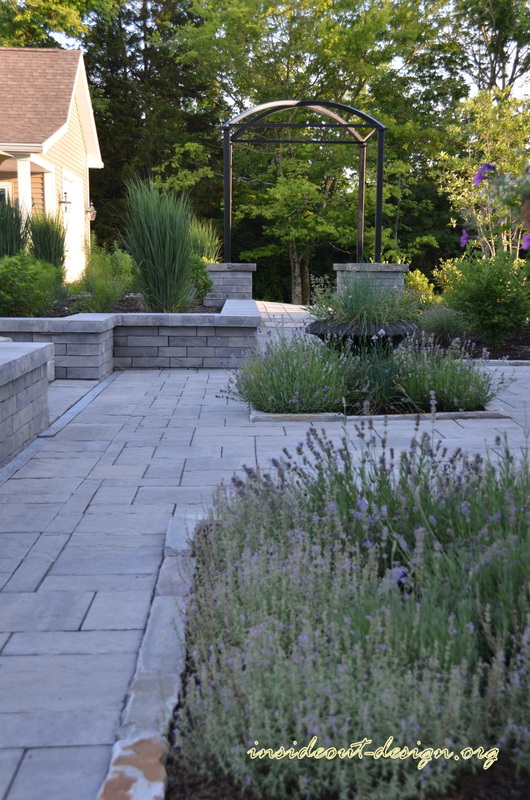 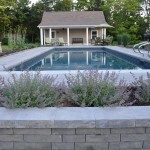 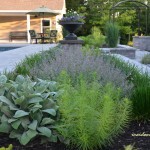 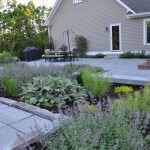 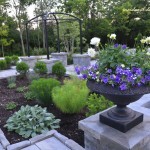 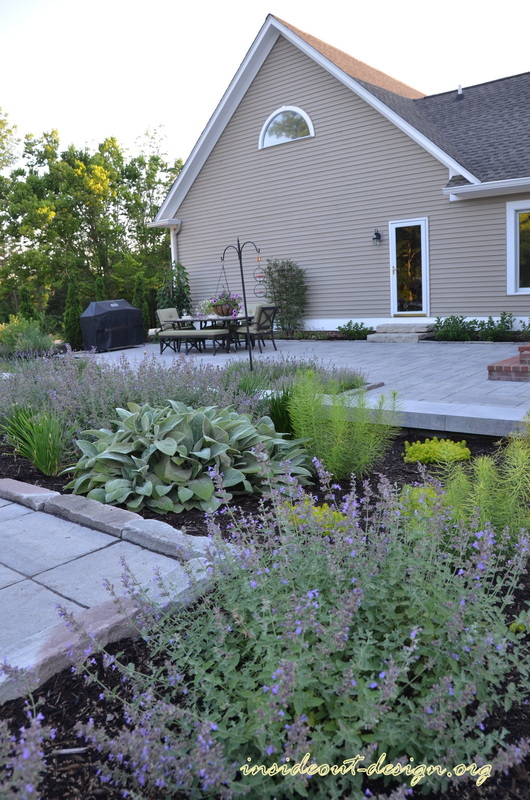 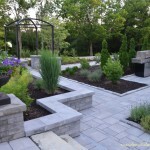 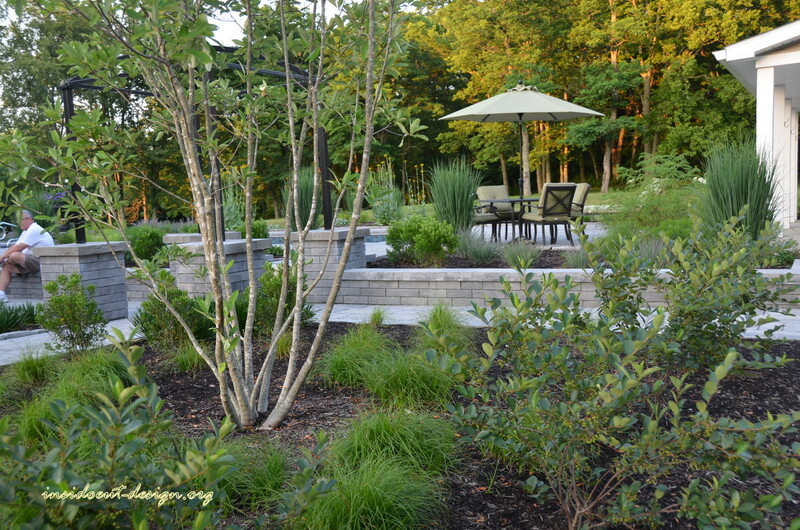 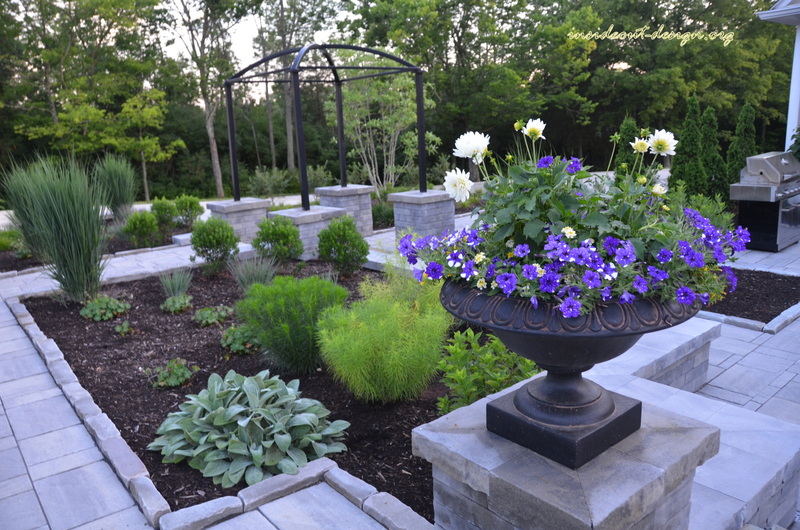 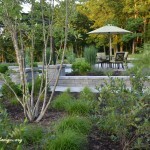 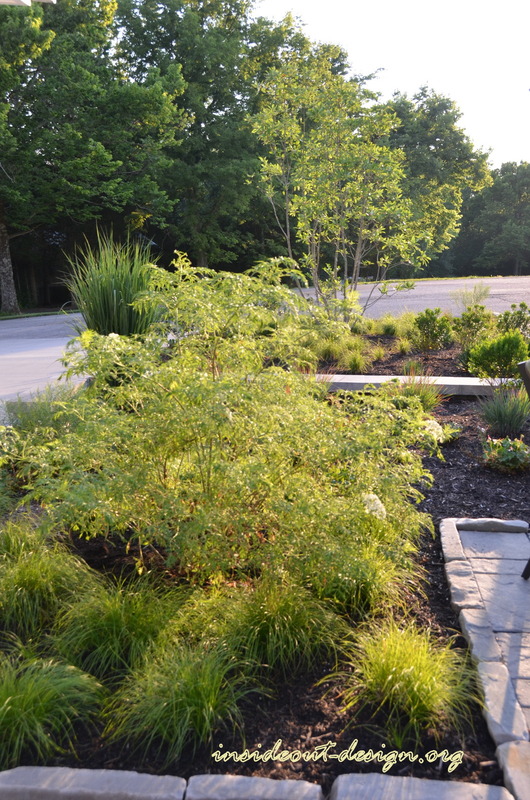 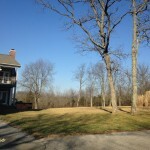 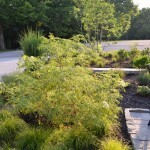 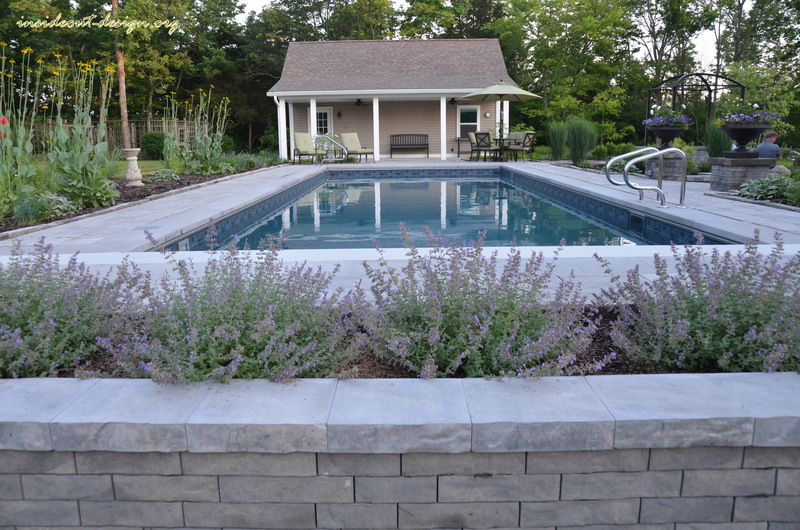 Soon to be lush, textural plantings of mostly purple and white and different hues of green soften the hardscape and provide visual interest.